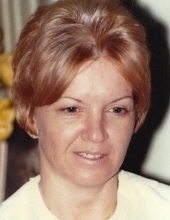 Gail Diann Bennett, age 78, of Mt. Vernon, Missouri, passed away at 7:14 a.m. on Sunday, March 17, 2019, at the Cox South Hospital in Springfield, Missouri. She was born May 20, 1940, in St. Louis County, Missouri, the daughter of William Gideon and Virginia Inez (Hagon) Bennett. Gail was a Certified Nursing Technician with Mercy Villa in Springfield and was a member of the Chesapeake Baptist Church. Gail is survived by her three daughters, Rebecca Henson, and her husband, William, of Republic, Missouri, Diann Condon and her husband, Brian, and Judith Frank all of Springfield; four sons, Robert Molkenbur of Farmington, Missouri, Walter and Parnell Molkenbur of Springfield and Vincent Molkenbur of Mt. Vernon; two sisters, Barbara Toler of Silva, Missouri and Linda Melzer of Apex, North Carolina; 13 grandchildren and nine great-grandchildren. Gail was preceded in death by her parents, William and Virginia and three sisters, Billie, Virginia and Janet. A visitation will be held from 12:30-1:00 p.m. on Thursday, March 28, 2019, at the Chesapeake Baptist Church with a memorial service at 1:00 p.m. at the church. Arrangements are under the direction of the Fossett-Mosher Funeral Home in Mt. Vernon. To plant a tree in memory of Gail Diann Bennett, please visit our Tribute Store. "Email Address" would like to share the life celebration of Gail Diann Bennett. Click on the "link" to go to share a favorite memory or leave a condolence message for the family.